NBN Co has revealed the details of its new wholesale business-grade satellite service for remote and rural Australia, set to be launched in the first half of 2019. According to the company behind the rollout of Australia’s National Broadband Network (NBN), the new service will be available in areas where coverage may have been limited or non-existent and there was no option of a fixed line service. This will be made possible through under-utilised spectrum from the Sky Muster satellite service, NBN Co said. NBN Co explained that the service, dubbed NBN Business Satellite Service, will be complementary to its existing retail Sky Muster satellite service which had so far been primarily intended for consumers. In a blog post published on 22 May, NBN Co explained the new services will comprise of two wholesale category offerings for phone and internet providers the bandwidth services and the broadband internet. The bandwidth services were designed for businesses with complex networking requirements wide-area network connections to multiple locations, while the broadband internet was designed for businesses requiring more broadband data, higher speeds and business-grade service levels. "NBN Business Satellite Service products have been developed to allow easy reseller access to the services and to provide a high degree of flexibility to minimise the effort required to connect their end customers," NBN Co executive general manager for access products Gavin Williams said. "These wholesale plans are being designed to be customisable with options for voice and mobility, and varying levels of support, depending on end user needs. "This can range from 24/7 support to a full service management suite, to a more limited offering depending on the criticality of the service." NBN Co expects to attract interest from businesses looking to enhance cloud-based capabilities. The company said service trials can be expected in late 2018. In February, NBN Co signed a deal with Speedcast Managed Services for the delivery of enterprise-grade satellite services. 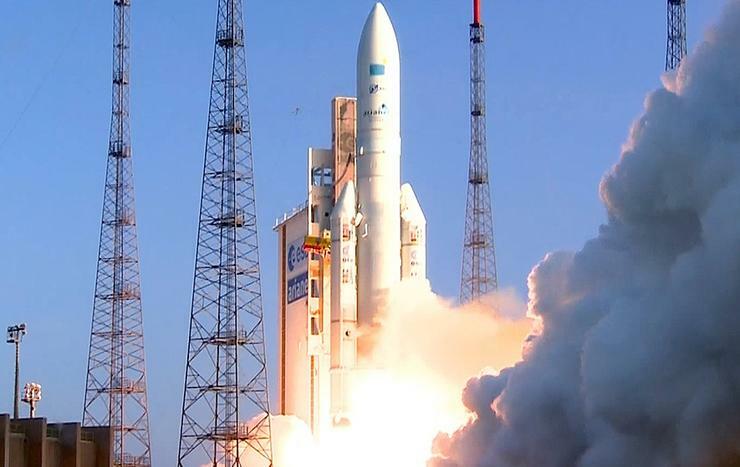 As previously reported by ARN, Speedcast, a wholly-owned subsidiary of Speedcast International (ASX:SDA), said it would draw upon its existing enterprise-grade satellite services and capabilities to build and operate, in support of NBN Co, a suite of satellite services targeted at enterprise and government customers in Australia. At the time Speedcast said that the services provided were designed to complement NBN Co’s existing consumer satellite service and were aimed at helping to increase the availability of enterprise-grade communications solutions for Australian businesses.